is a Marine and Singer/Songwriter for WGN America’s Outlaw Country. When he’s not rocking out, he’s an instructor and Liaison for the Sonoran Desert Institute. Please welcome Gabriel Wren! Tonight we’ll talk about the advocate plan. For $14.95 a month, you get all the coverage of the basic plan we mentioned last week, but it adds Civil suit defense and damages protection, ups your monetary limits and adds expert witness coordination! Speak of Sean Maloney, one more chance to vote. 3 Reasons Female Police are turning to training specifically geared toward women. Tonight we are going to do We Like Shooting Theater sponsored by Manticore Arms. Where we re-enact movie scenes, our style. Tonight we will perform a scene from Die Hard. Hans Gruber will be played by Gabe and John McClane will be played by Lil. Hans Gruber: [on the radio] Mr. Mystery Guest? Are you still there? Hans Gruber: Uh, no, I'm afraid not. But, you have me at a loss. You know my name but who are you? Just another American who saw too many movies as a child? Another orphan of a bankrupt culture who thinks he's John Wayne? Rambo? Sven Jonnsen? Rhonda Rousey Book not allowed to be sold in Walmart because she is too violent. Guest: Machine guns and broken hearts. 5 stars - Scotzy - If you want to just relax and listen to a good podcast that is pretty funny, this is the show for you. Just be aware that you might fall out of your chair laughing. ‘GERONIMO!! !’ Well that wasn’t as funny as I thought it would be. Seriously though… Great show. 5 stars - Lizard30-30 - There once was a man named Geronimo, who loved We Like Shooting you ought to know. Lil, Jeremy, Aaron, Savage and Shawn are totally spot on, and they’re always down to party if you wanna go. :) Seriously though thank you all for making such an enjoyable show. It’s funny and informative. Always looking forward to the next episode. 5 stars - Jeff Haddox - This panel of gun enthusiasts will have you rolling on the floor. Either laughing or if you dare playing their drinking game. One of my favorite segments was Who’s gun in History where they would take a historical figure like Geronimo and give him a modern firearm. I would give him an AK-47 with a Manticore Arms Alfa Rail Keymod Forend and standard wood buttstock with brass tack decorations. The US special forces cavalry unit (yeah that’s right special forces on horses) would want short carbines, like Tavor’s with Manticore Arms Arclight XTL Keymod Forend. Next they will combine two great segments. Who’s drink in history. Imagine Geronimo in a box canyon camp sitting by the fire sipping a Mango-rita. I have nothing against the Native Americans in fact my indian name is barking spider. 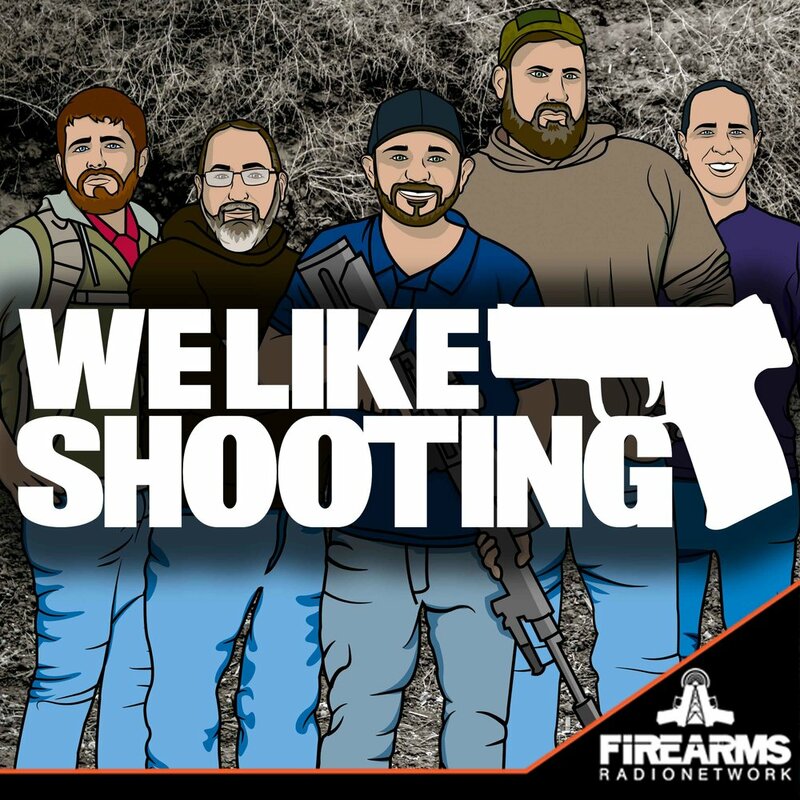 (no joke) I love this podcast so much I became a Patreon of this show and Firearms Radio Network this month.